With more than half a century of history behind the Spanish car manufacturer Seat, it still aims to be a young brand and one of the most dynamic new automobile manufacturers in this industry. Seat range of vehicles has certainly an attitude and a race-bred, aggressive image of sporty cars synonymous with the Spanish manufacturer, but is also backed by solid engineering and build quality of its parent company Volkswagen. 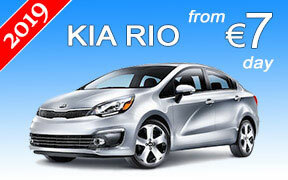 In more recent years the models have a sporty and youthful appeal, attracting a wide range of young car hire customers around Europe. The Seat range offers vehicles in all the popular sectors of the automobile market without ever looking ordinary. They deliver styling and performance combined with real value for money, turning the brand into a very popular car hire option for Bulgaria. 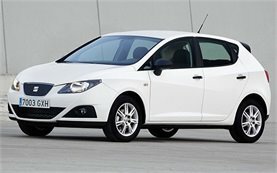 Some popular car hire Seat models include the Ibiza, a compact car, featuring a raft of sporty and dynamic styling cues and impressive driving performance, and the Seat Cordoba, a family sedan, popular with car hire customers for its economical and dynamic drive, comfort and refinement.